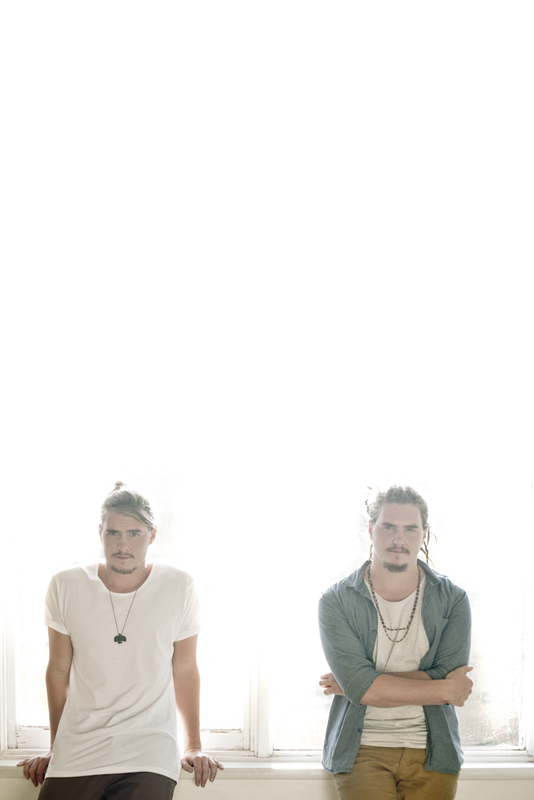 It’s been a whirlwind 12 months for Australia’s Pierce Brothers. The buzzing live act have literally been stopping traffic whilst busking, recently sold out many shows in quick succession across Australia, successfully toured the UK in 2013 and have sold over 20,000 EP’s independently in 12 months. On the album release day for their latest effort, The Night Tree, we sat down with Jack Pierce to talk about the release, touring and remaining honest. Excited! We’re just about to leave on tour! Can’t wait! It must be an exciting time for yourselves, with the release of your new album today. Are you keen to see it officially released? Yeah! We don’t really know what to expect. This is certainly the biggest hype we’ve had surrounding any sort of release for us. I’m actually a little intimidated! It’s cool to see that over the last couple of weeks you’ve been selling ‘advance’ copies during your street performances in Melbourne – how have you found fans/people have responded to the new material? We keep getting people coming up to us in the streets to let us know that they’re enjoying it; that’s awesome! The new single has had an excellent response both here in Australia and overseas, and we’re stoked about that. A lot of people have commented on Genevieve – the second song on the album. It’s certainly my favourite one! Have you been playing any new songs in your street performances? We’ve been playing a few; Golden Times, It’s My Fault and Flying Home in particular. They’re the ones we can jump around to the most, so they fit perfectly with our style of busking: i.e. jump around and make noise. Of course, selling the albums on the street has worked incredibly well for yourselves – I hear it’s something around 20,000 copies that you’ve wracked up – are you surprised at how successful it’s been? Of course! We had no idea when we started busking that it would have such a profound impact on our careers, we just figured (if nothing else) that it would be a laugh! When we decided to take music as a full-time job, and busk to supplement our income between touring, we started working harder and harder and busking more and more. We didn’t even realize we’d sold so many until we hit (around) the 15,000 mark. We’ll just have to see how this next EP goes as far as sales. Hopefully well! It’s hard to chat with yourself, and not mention the sound you have – were you always fans of folk music? Did you grow up listening to folk? Mum and Dad always had a lot of Harvest and ‘After The Gold Rush” handy; as well as a decent dose of Paul Kelly. Our older brothers and sisters got us into Pearl Jam and Nirvana early on, and we just wanted to be like them (don’t all the youngest want to be like their older siblings? ), so that’s why we started learning guitar. As we got older Xavier Rudd and John Butler became massive influences on guitar work and the use of different instruments simultaneously. What is it about folk that appeals to you the most? Paul Kelly’s songwriting and story telling has been the inspiration for many artists. We both always gravitated to that style because it seemed to make so many people happy around the campfire! Folk has always been easy to jam to and it’s with that we’ve had the most fun. I mean, we’re not talented enough to play metal and certainly not enough to play jazz. It was with basic chords and acoustic guitars that we could play and sing, whilst simultaneously jumping around like maniacs. We both always dug the jam of folk, pure and simple! The new album – and indeed all your music – comes from an honest and real place. Do you write from personal experience? Yes. Say Pat will bring a song to me, then I’ll help craft the song. Ultimately, it’s Pats song as he is the one most closely related to it; and vise versa. If one of us set out to write a song in a particular style, then the other takes on the role of almost a facilitator to help get the song to its destination. Some of the darker songs, while they may not have a definite cause for being written, come from a deeply personal place. [Laughs] I think we’re just too self-indulgent! Your new single, It’s My Fault received some attention in the Netherlands – does it still surprise you how far your music has reached? That ABSOLUTELY surprises us! We received an email from someone in Holland who heard the song on the radio and emailed us for the lyrics. It’s crazy! We can’t wait to tour over there; the Lowlands festival is looking like an absolute stunner! Having never travelled to Holland, I honestly don’t know what to expect; but from busking we’ve run into a lot of tourists who couldn’t be excited enough for us! To coincide with the release, you’ll be heading out on tour from tomorrow – are you looking forward to taking the new songs on the road? We always love being on the road. We get restless if we stay in one place too long. It’s going to be a busy few weeks with some venues we’ve never played like Armidale Club and the Black Bear Lodge. It’s a shame we don’t get to see you in Sydney for this tour – are you planning on giving us a quick visit sometime soon? All in good time! We’ll definitely make it up there for a little busk (at the very least) before we head over to Europe. Watch this space! Finally, what is the one thing you’re hoping fans – new and old – take away from the album? We hope that fans can relate to this album; as this is why we make music. We’re already working on more and more songs and can’t wait to get more out to them. for the moment, I hope that they can take meaning from The Night Tree, something special; as it was special for us! Many thanks to Jack for taking the time to chat to us. The Pierce Brothers new album, ‘The Night Tree’ is out now.